Participants will develop an understanding of the range of political philosophies and strategies that have characterized Native American activism, including protest, public address, written appeals, petitions, legal work, ally-ship, among others. Participants will develop an understanding of the long trajectory of activism, within and against distinct strategies of landtaking and settler colonialism. 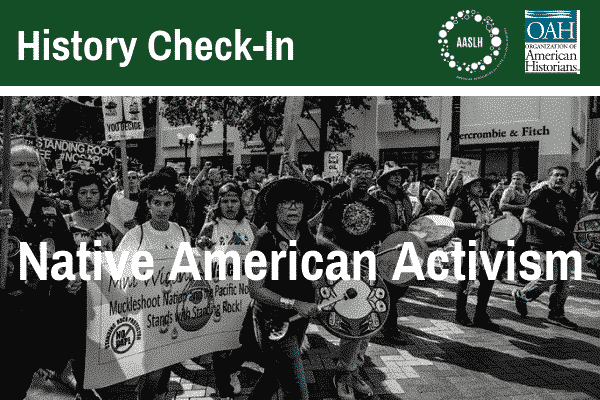 Participants will be able to link understandings of the breadth and depth of Indian activism to specific recent manifestations, including the American Indian Movement and the Standing Rock resistance. Closed captioning available upon advanced notice. Please contact learn@aaslh.org for more information.